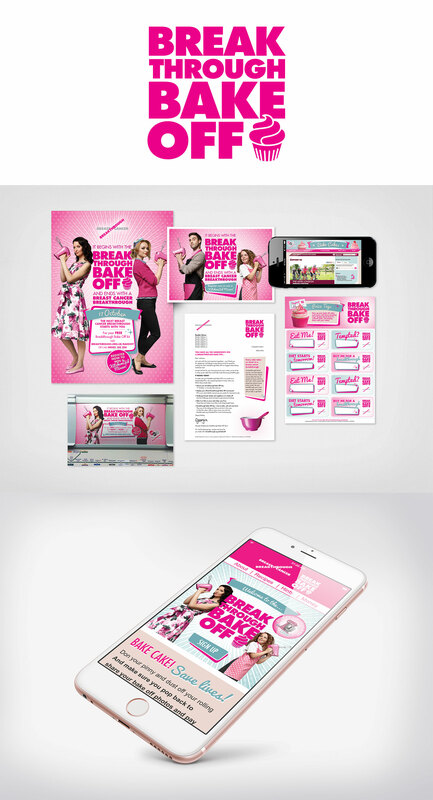 This annual fundraising campaign for Breakthrough Breast Cancer was inspired by sixties graphics but with a modern twist. 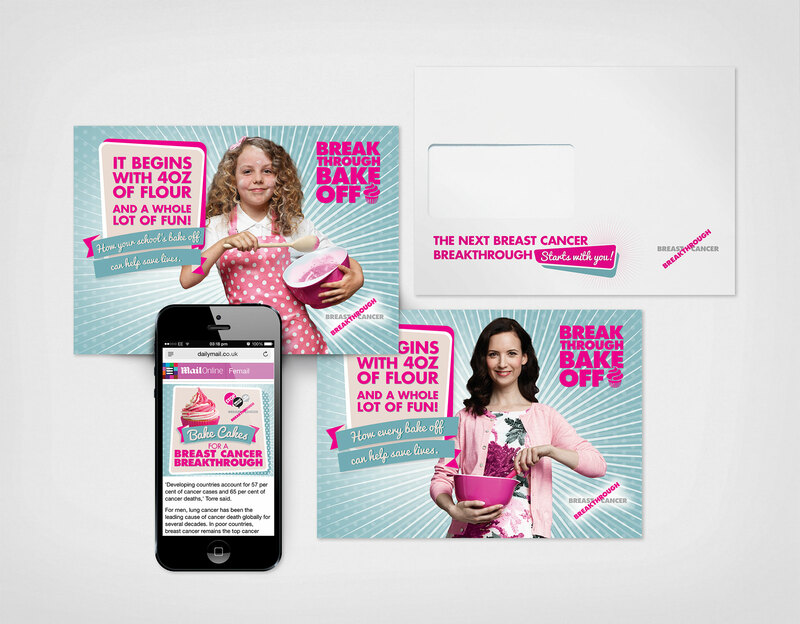 Three sets of packs were designed to suit fundraisers at work, primary and secondary schools. Each kit contained a leaflet, poster, sticker set, donation box, customised letter and other fundraising must-haves. 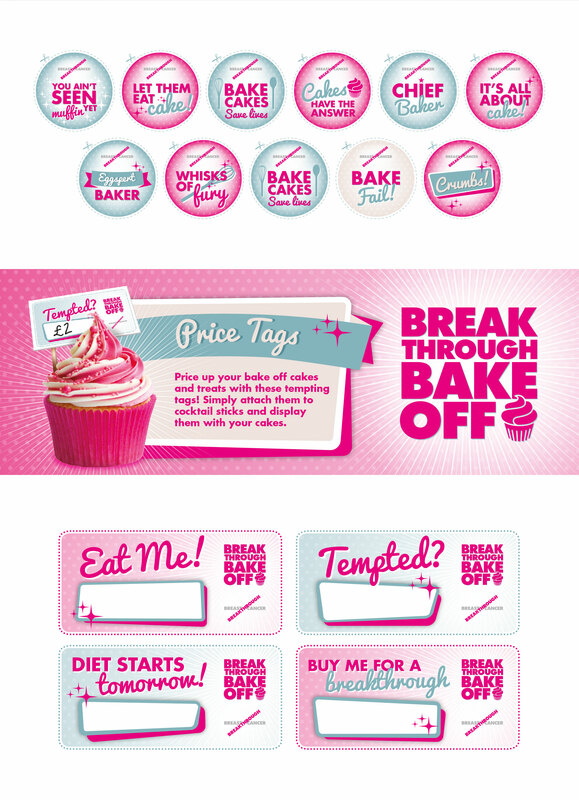 Digital banners were also designed as part of the campaign.